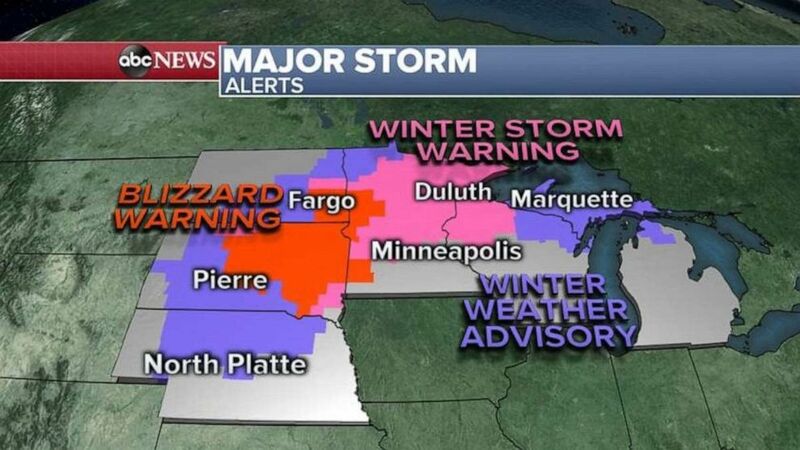 The blizzard that dumped 2 feet of snow in South Dakota and Wyoming is winding down on Friday morning. There are severe weather alerts in six states on Friday. 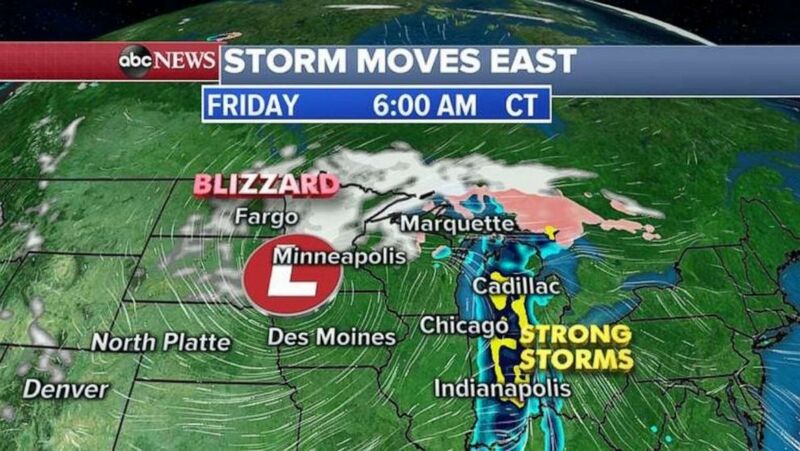 Snow is falling in northern Minnesota on Friday morning, while strong storms move through Indiana and Ohio. 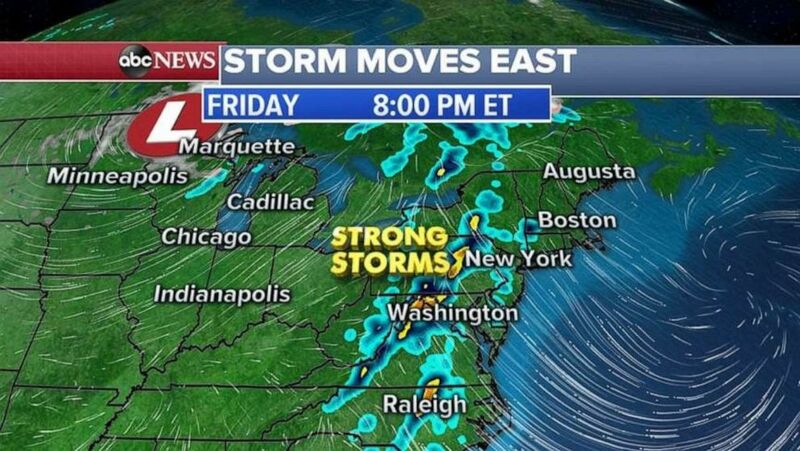 Strong storms will move into the Northeast late in the day Friday. 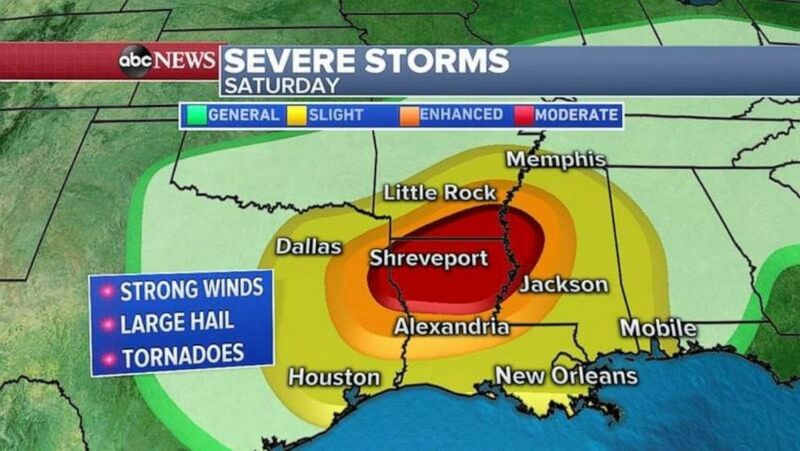 Some of the strongest severe storms of the season are expected in the Deep South on Saturday. 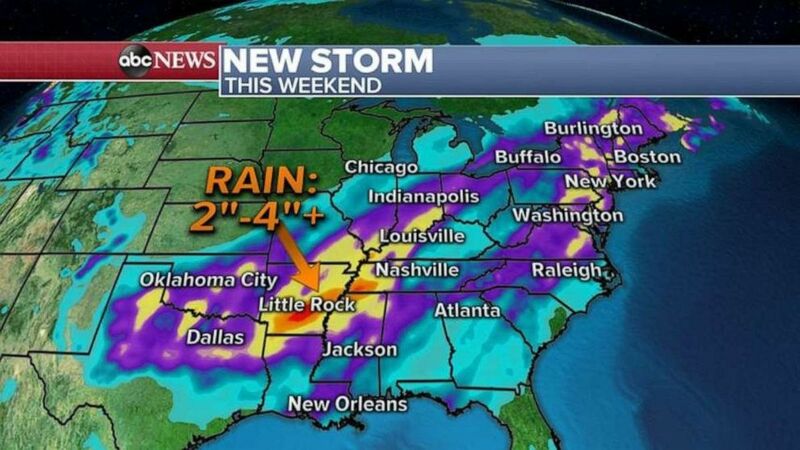 The highest rainfall totals will be in Arkansas and western Tennessee.